Our flesh is in complete opposition to God. Our flesh is hostile to God. Our flesh cannot ever be in agreement with God. The Spirit and the flesh can never be on the same side. We have to constantly war against our flesh. Often times, Christians are so distracted praying for everything else (praying for others is a good thing) instead of praying for obedience and spiritual strength for ourselves. We rarely pay attention to where the battle starts. It starts within us. The number one enemy that we face is not Satan, it is the flesh! Hope is not lost though. God has already provided His children with a remedy to the flesh… The Holy Spirit. Once we became born again, the Holy Spirit came to dwell in us. 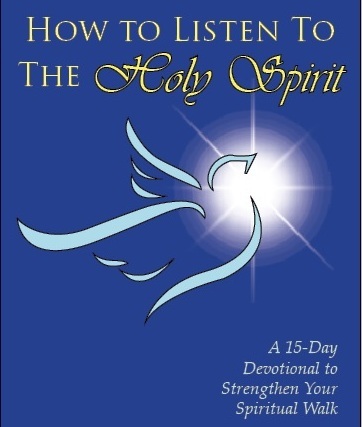 The Holy Spirit is always around, guiding us, teaching us, protecting us. Have we ever read The Word and wondered why the verses seemed to lift off from the page and imprint themselves in our heart? That, my brothers and sisters is the work of the Holy Spirit! Another example, when we have made a decision and it just doesn’t sit right with us? That is the Holy Spirit letting us know that our decision doesn’t line up with what God’s will is. For our Christian life to be as God has intended we must live and abide in the Holy Spirit. Gone are the days when we just rushed into things without a second thought. We now have clear direction. We now know our purpose even though we do not yet know the plan. Our purpose, our very reason for existence, is to emulate our Savior Jesus Christ. Doing so brings glory to God. So what does emulating Jesus look like? I am really interested in spiritual things. If is hard for me to keep away from selfishness. I appreciate these reminders and it is easier by His strength and guidance. i do like praising and worshiping Him. if only I could do it 24/7 I would not struggle with my own agendas. Send us a direct message on the contact us page to let us know when you prayed. We want to encourage you in prayer and help you find a bible-centered church where you can grow spiritually.